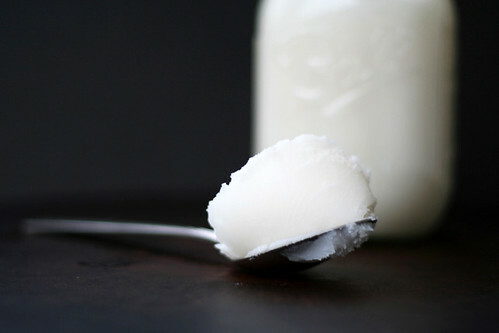 Rendering and using lard has gone by the way side as our fat obsessed culture has taken reluctance to using it in fear of high cholesterol and blocked arteries. Deemed the “un-healthy” fat, we have turned to vegetable oil which we now know has caused us more harm than good. One of the outcomes of the campaign against animal fats was the producers response of breeding leaner animals. Heritage breed animals known for their flavor and juiciness which yielded about 33 pounds of fat was sacrificed for leaner animals slaughtered at younger ages with a mere 10 lbs of fat. Instead of rosy pink flesh marbled with fat we now have “the other white meat” void of taste and flavor. It’s a shame as fat from a pastured animal is a mixture of saturated, polyunsaturated, and monounsaturated fatty acids. Most of the fat is made up of monounsaturated in the form of oleic fatty acid. The same fatty acid in olive oil praised for it’s health benefits to lower your risk of heart disease. Remember that our bodies need saturated fats. We need it to absorb calcium, nutrients and vitamins including d, e and a. For example, if you’re drinking non-fat milk with vitamin D added by man, your body will have a difficult time absorbing both the vitamin and the calcium since it lacks saturated fat. One of the many benefits of purchasing pastured pork from a local family farmer is that the meat from that animal will also be rich in omega 3 fatty acids, vitamin d, e and a. Not only will its fat allow us to absorb those important nutrients and vitamins, but it’s flavor will be unlike any “white meat” you have ever had. Pork fat’s low level of polyunsaturated fatty acid means that it doesn’t turn rancid easily and is very heat stable making it great for frying. Where can I buy pork lard or pork fat? 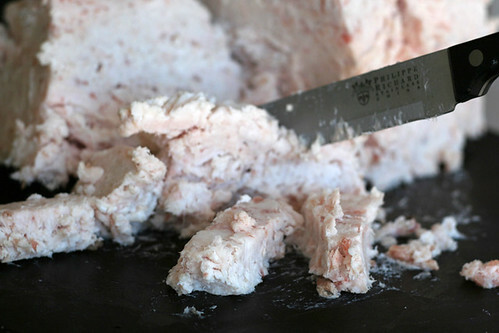 Pork lard that you find at the grocery store is hydrogenated and filled with preservatives and chemicals so it becomes very important to find pork fat from a family farmer, http://www.localharvest.org, and render it yourself. The process itself is easy and has been done traditionally for centuries. However, it’s important to learn about the different types of fat from the hog in order to render each appropriately. Back Fat or Fatback – This is the fat that comes from the back of the animal along with its shoulder and rump. It’s literally the layer of fat directly below the skin. It’s usually sold in pieces and often with the skin still attached. Rendered back fat is great for sauteing and frying. Belly – The pork belly. Rich soft and firm fat layered with meat. In the United States we use it mostly to cure bacon. That’s right, bacon is cured pork belly! Because of the meat intertwined with the fat it also makes a great roast or check out my steamed pork buns using pork belly. 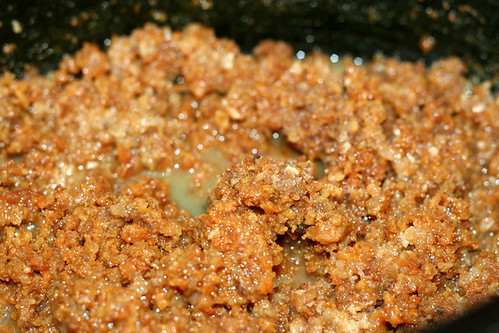 Leaf Lard – Leaf lard is the fat from around the pig’s kidneys. 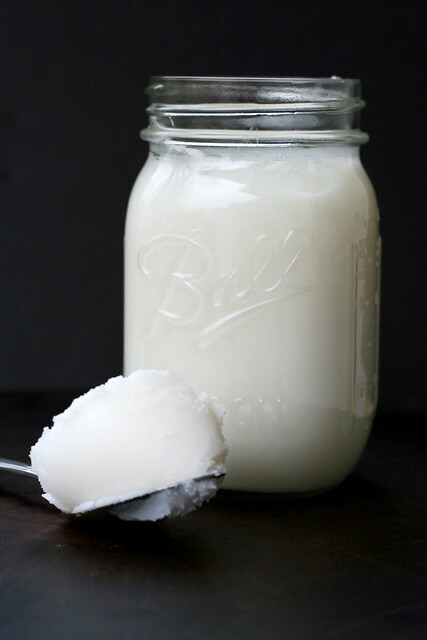 This is the cleanest fat on the animal and is therefore the crème de la crème of pork fat. This is the fat that you want to make sure to render appropriately in order to have a pure white, odorless lard to use for your pastries. Leaf lard is used to make perfectly flaky pie crusts and traditional Spanish polvorones. When ordering pork fat from your family farmer ask them to separate the fats. 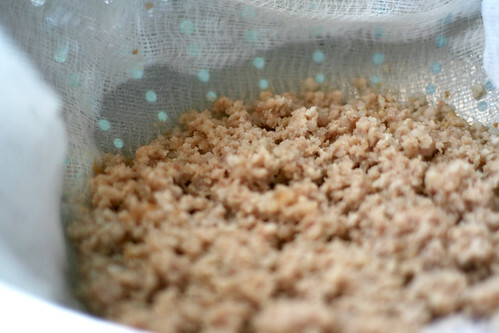 Rendering lard is a tutorial you can find on many places throughout the blogosphere. 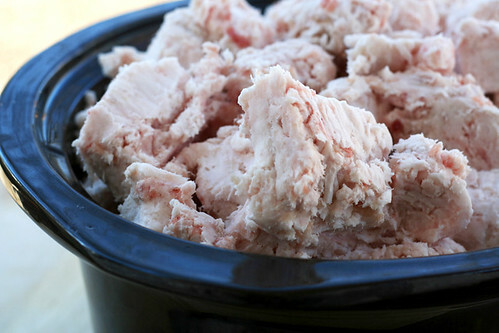 However, rendering lard, although easy enough to do, can take practice to get it just right. 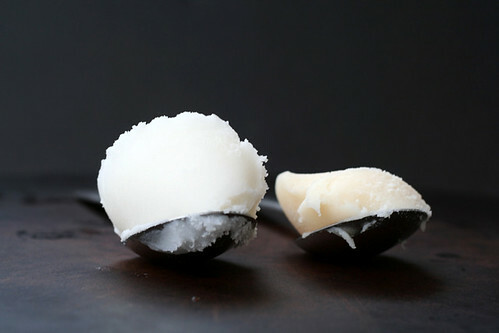 Especially if you want to make snow white, odorless leaf lard. Rendering lard is pretty much just heating up the pork fat slowly so that it melts and separates itself from anything else within the fat. If the fat is left too long the cracklings will start to burn causing your lard to turn a deep yellow and ends up having a piggie, chicharon type of smell and taste to it instead of being odorless. If you’re using the lard to fry, this isn’t a big deal. However if you’re using it for pastries you don’t want a piggie, chicharon flavor to your pie or cookie. Get the picture? In the picture above the first spoon you can tell is snow white leaf lard and odorless. The second spoon is off color and yes has a bit of a piggie smell. It’s still great for frying and sauteing. However, I do reserve my snow white leaf lard for pastries. Step 1. Cut your leaf lard or back fat into small pieces. *Tip – Ask your family farmer to have the fat ground. The process is much quicker and in my opinion, leads to better results. Step 2. 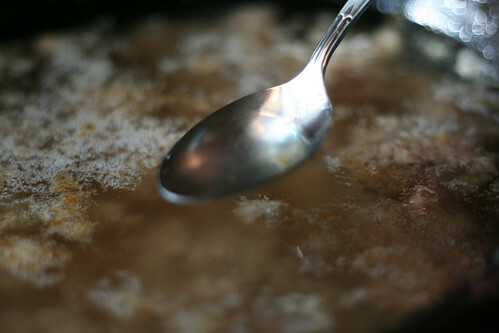 Add 1/4 cup of water to the bottom of a crock pot and add the cut up pork fat. 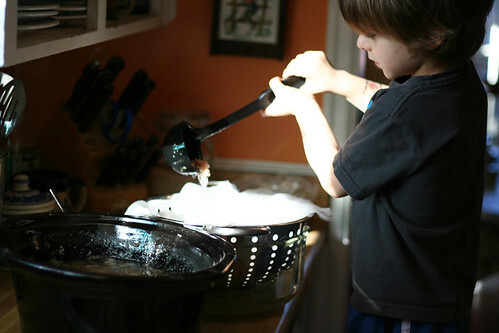 (The water will prevent the fat from burning before the pork fat starts to melt. It will end up evaporating itself out) Set the crockpot on low and let it go for about an hour. Step 3. In about an hour check the crock. It’s important to keep an eye on the crock to make sure the fat doesn’t start to burn. When the fat starts to melt, it will separate itself from the “cracklings,” (crisp residue left after lard has been rendered). At this point after about 1.5 – 2 hours once the cracklings start to settle on the bottom of the crock, it’s done! Step 4. Ladle the melted fat into a cheese cloth lined colander separating the melted fat from the cracklings. The cracklings should not be crispy, they should be soft and ground like. From here, ladle the melted pork fat into pint sized mason jars. 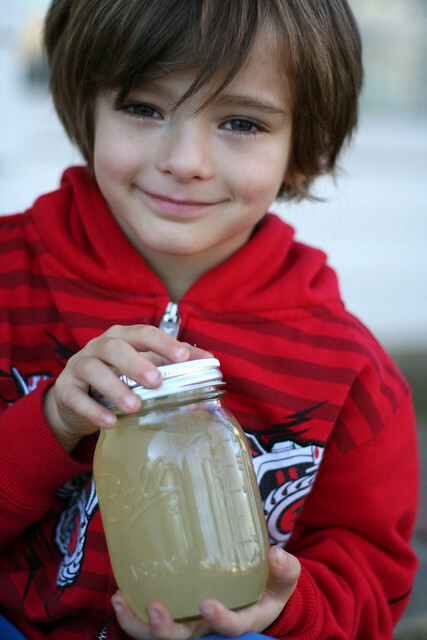 The fat should look a pale yellow in the mason jar. Let them cool on the counter. Store in the refrigerator or freezer. You can now return the cracklings to the crock pot and let them go until they have turned brown and crispy. You can use these for different foods or sprinkled on top of salads. They are delicious! One thing to remember on this entire process is that once the pork fat starts to melt, go ahead and start separating it right away, mix the remaining fat allowing more to fat to render out. There’s no magic number to how many hours it needs to render but really it’s going to take practice. Have fun with it and don’t worry if it smells a little piggie, it still tastes great and the health benefits make this process entirely worth it. Let’s get back to tradition, let’s render lard.